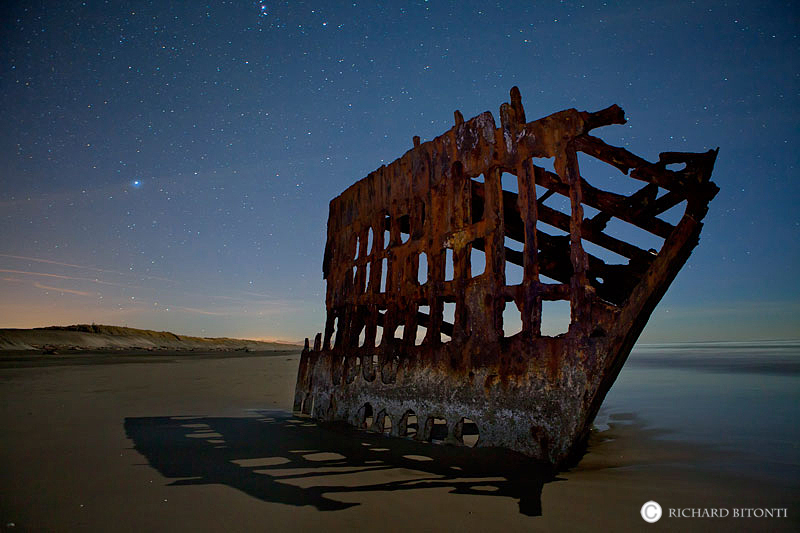 The wreck of the Peter Iredale is a stark reminder of the dangers early maritimers encountered along the Oregon coast in the early 1900's. The Peter Iredale was a four-masted steel sailing vessel that ran ashore October 25, 1906, on the Oregon coast en route to the Columbia River. It was abandoned on Clatsop Spit near Fort Stevens near Astoria, about four miles south of the Columbia River channel. Photo © copyright by Richard Bitonti.